Widow Poems. Betty Adcock. Jacar Press. Durham, North Carolina. 2014. Eleven poems. That's all it takes for Betty Adcock to thoroughly convince everyone at Today's book of poetry. Widow Poems is exactly as advertised, our narrator has been widowed and these poems are elegy, memoir, prayer. These poems will make you weep. No way around it. Big, hard, up from the heart with a punch in the throat tears. Most married women eventually become a widow - so what is the big deal? The deal is that Adcock opens up, instantly, in a way that makes her a familiar. We've known this woman all our lives and are invested in what she has to say. Betty Adcock remembers everything -- yet without haste, without ever rushing, she distills it all down for us. How she knows the man she loved, how it is all still real and present. Knowing all this never hinders Adcock or Widow Poems. Adcock is totally in the now. She knows a few tricks and one of them is to be alive in the past and the present. Widow Poems is sublimely tender. that rang and shimmered like hammered tin. that much-too-sweet, that awful bright. out of one darkness into what else there was. broken blue as a jazz flute's riff across the marvelous city. was held in the Liffey's argentine. and just then sudden hail pocked the clearing with white stones. as I breathed out "I've loved you my whole life,"
I'd heard my own voice say it. Being married isn't everything -- but it sure is something. Betty Adcocks gives sweet homage to the man she shared life with, explores what it means to continue without him, even to find joy in that new life without. It is too easy to call these poems brave. It is impossible to understand an other's grief but Adcock lessens those odds. There is no banshee wail, no Puddles Pity Party clown in these poems. Adcock is adroit with every task, she is never maudlin. We miss her husband too. the universe itself was laughing. would play into the wind. as the fox that danced straight toward me. Here at Today's book of poetry we are going to call Betty Adcock -- Lady Betty. And we forgot to tell you that Lady Betty knows jazz better than you do. These poems have genuine be-bop moments. See that cardinal, a bird in flame. 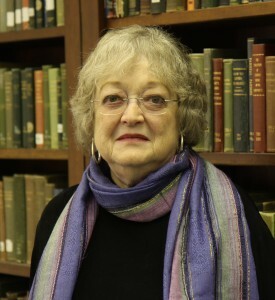 Betty Adcock is a recent inductee to the North Carolina Literary Hall of Fame. Betty Adcock, a recent inductee into the NC Literary Hall of Fame, grew up in rural east Texas and has lived all her writing life in North Carolina. Her most recent book is Widow Poems, from Jacar Press. LSU press has published six collections of her poetry, including Intervale: New and Selected Poems (2002) which won the Poets’ Prize and was a finalist for the Lenore Marshall Prize from the Academy of American Poets; and Slantwise, chosen by LSU Press as the Leslie Phillabaum Award Volume for 2008. Honors include The North Carolina Award for Literature, the Texas Institute of Letters prize,The Hanes Award from the Southern Fellowship of Writers, fellowships in poetry from the State of North Carolina and the National Endowment for the Arts. She held a Guggenheim Fellowship for 2002-2003. Ms. Adcock was Kenan Writer in Residence at Meredith College for twenty years. She has been visiting professor at Duke University, Kalamazoo College in Michigan, Lenoir-Rhyne University, and North Carolina State University. For ten years she was a faculty member in the low-residency Warren Wilson MFA Program for Writers. She has long been a member of the Texas Institute of Letters and the Fellowship of Southern Writers.